Mesa Veterinary Clinic and Paws N' Hooves Mobile Veterinary Clinic are proud to provide quality, convenient, and affordable services to "Help El Paso Help Their Pets!" 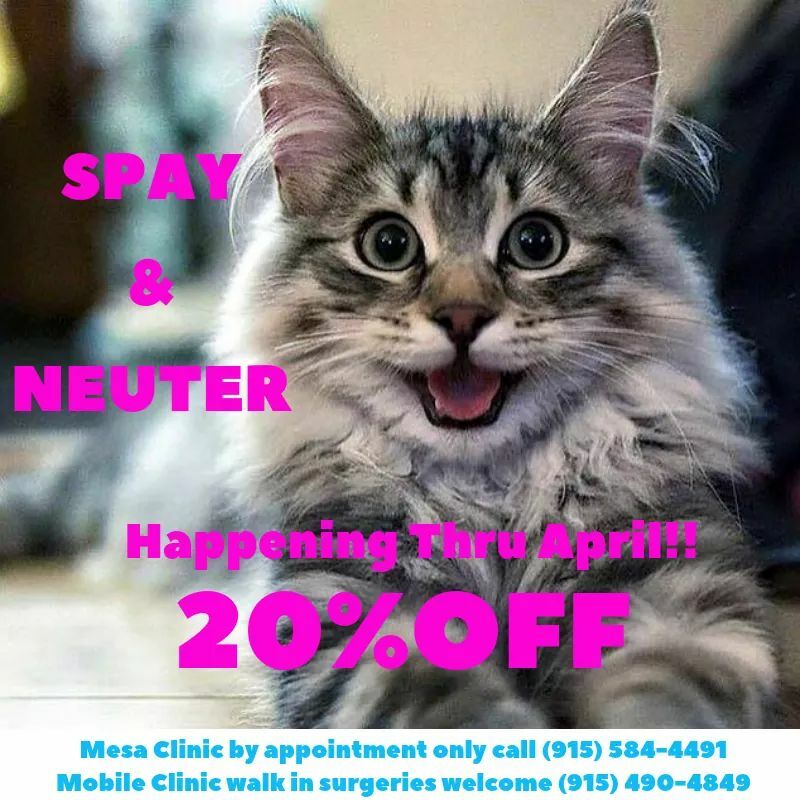 Mesa Veterinary Clinic is a fixed base clinic in West El Paso. Appointment are highly recommended, but walk-ins are welcome. Walk-in patients may experience a wait since our appointments take priority. In addition to routine services, Mesa Veterinary Clinic also offers hospitalization, boarding, quarantine, and house/farm visits. Paws N' Hooves Mobile Veterinary Services is a mobile veterinary clinic rotating to different parts of the city. At Paws N' Hooves Mobile Veterinary Services all patients are seen on a walk-in basis. Paws N' Hooves Mobile Veterinary Services can perform all routine services including vaccines, bloodwork, spay and neuters, dental cleanings, and other minor surgeries. For more information give us a call at (915) 584-4491.